We assist Norfolk Police with searching for vulnerable and high risk missing people. The team became a full member of the Association of Lowland Search and Rescue (ALSAR) in 2000. We are registered with the Charity Commission, charity no. 1103823. We have over 50 active members all whom are 100% unpaid volunteers most of which all have full time day jobs. NorLSAR receive no government or local council funding. We are on call 24 hours a day, 7 days a week 365 days of the year, whatever the time of day or weather is. We are deployed directly from Norfolk Police or Norfolk fire and rescue service. We assist in the immediate searching of a high-risk missing person. This can range from a missing child, Despondent adult, or person suffering from dementia. Our fully trained and qualified search planners and managers are deployed to tactically advise the PolSA (police search advisor). Using a range of search mythology and past missing person data and statistics along with last known locations a structured and methodise search plan is created and undertaken. Our search technicians and team leaders undergo intensive and ongoing training in searching techniques, emergency first aid providing immediate skilled feet on the ground resource. Our service is invaluable to the Police as in many missing person cases time is of the absolute essence. When deployed we need our search management to establish a control and RVP point. This often needs to as close to the last known location of the missing person. Currently this has been achieved using an old twin axel trailer or borrowed vehicles. This now causing us delays in our deployment as only certain people can tow the old control trailer that is now very tired and at the end of its working life or calling round to borrow a vehicle. 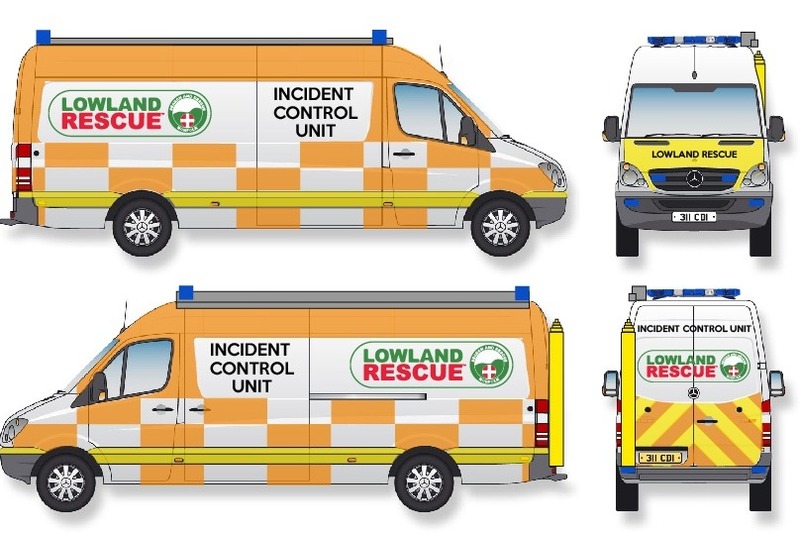 We need our own incident control unit that we can rapidly deploy to the scene of a missing person. Much of what we do we cannot talk about but we have been involved in many of the high profile cases that have been in the press lately.